Ethiopia has some of the most varied terrain in Africa, cultures that are thousands of years old, unusual wildlife, and monuments to rival any in Europe or Asia. 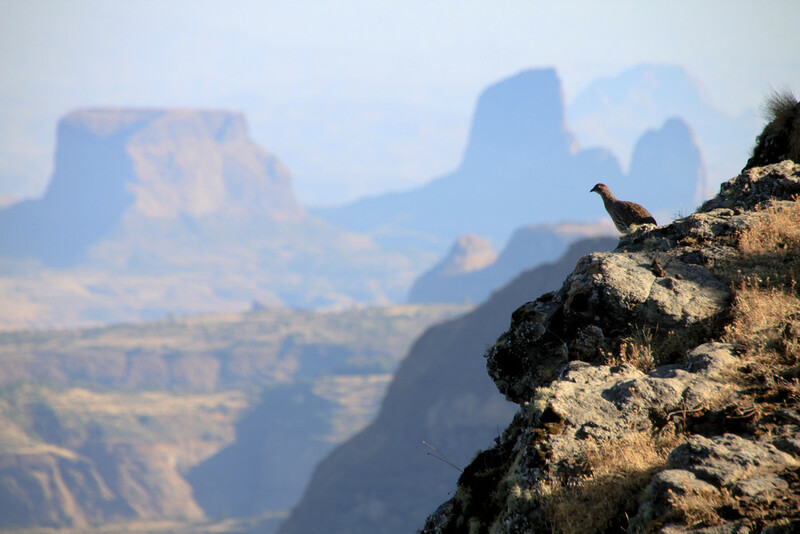 From the outskirts of Addis Ababa to the Simien Mountains, the sights, colors and textures of the country are truly astounding and awe-inspiring. Here are 15 photos of Ethiopia that will make your jaw drop. We might as well start off with a bang — literally. 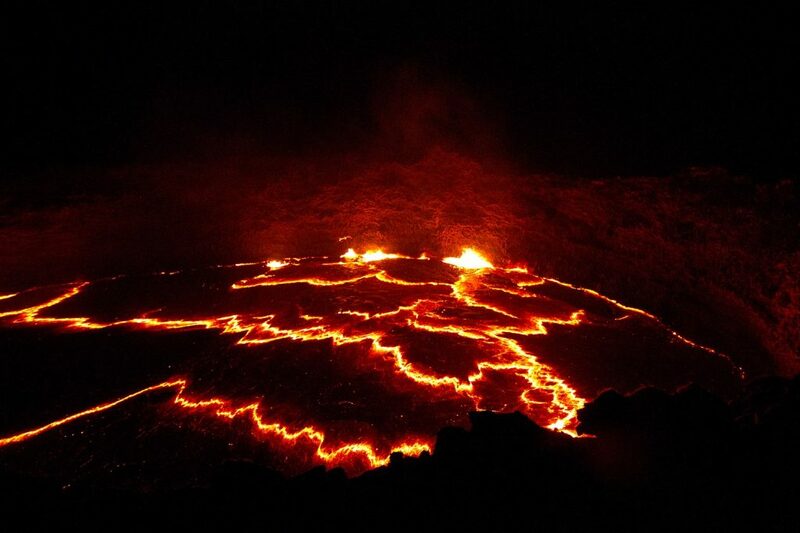 Ethiopia’s Erta Ale volcano has one of the world’s oldest lava lakes — its existence in the Afar region of the country has been documented since the beginning of the 20th century. No, it’s not a mythical castle from a fairy tale — it’s real. Known as the Camelot of Ethiopia, Gondar is one of the best preserved castles on the continent. Generations of emperors ruled here for close to 1,000 years, and there are several buildings and fortifications within the complex. 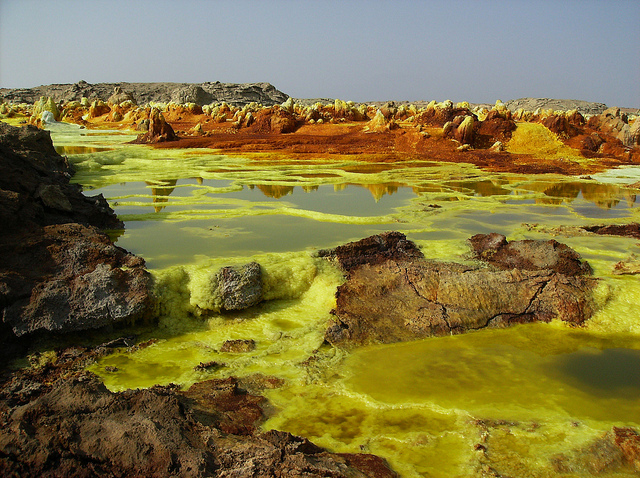 Dallol, in the Danakil Depression, is notorious for being the hottest inhabited place in Africa, with average temperatures hovering at a sweltering 96 degrees Fahrenheit (35 C). The few who live in this area are mostly sustained by salt mining and transport via camel caravans. 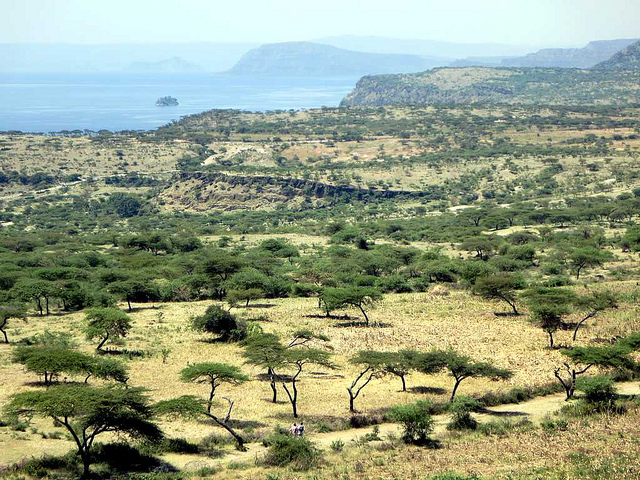 The giant Lake Shala in the Great Rift Valley is in a collapsed volcanic caldera that goes 265 meters below the ground. The people at the bottom of the shot add a nice touch to show how large the area really is. 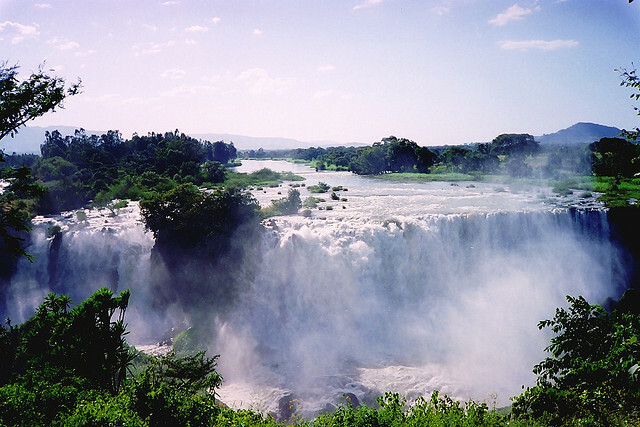 These falls on the Blue Nile are located in northwestern Ethiopia and some of the most impressive on the continent. They are almost 45 meters high and 400 meters wide in the rainy season. 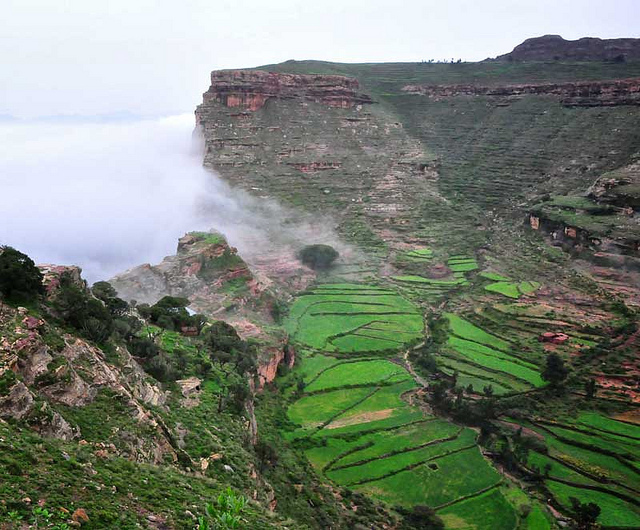 Ethiopia’s northern Tigray region is home to some of the most interesting geography in the country. It’s also famous for its ancient rock churches. A farmer keeps watch in a treetop over the gorgeous valley in Arba Minch, Ethiopia. The city received its name for the abundant local springs in the area, which make for extremely fertile land. 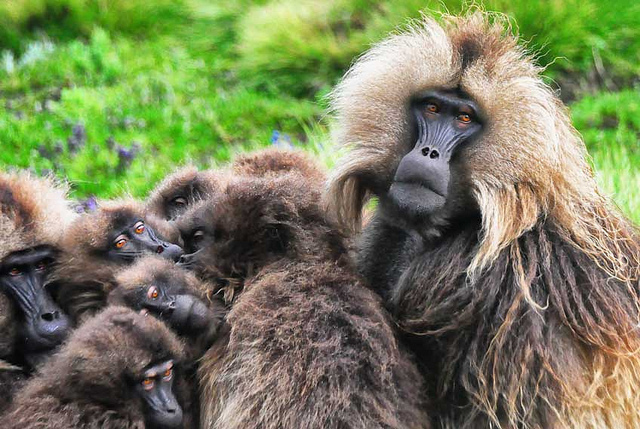 Gelada baboons are found only in the Ethiopian highlands, with most of the population living in the Simien Mountains. They’re also the only primates who primarily eat grass for most of their diet. Here is a great aerial of a crocodile ranch in Arba Minch. The location rears thousands of Nile crocodiles for their skins. We think they are best viewed from a computer screen, and not in person. Scary! And let’s not forget about the rich culture of the country. 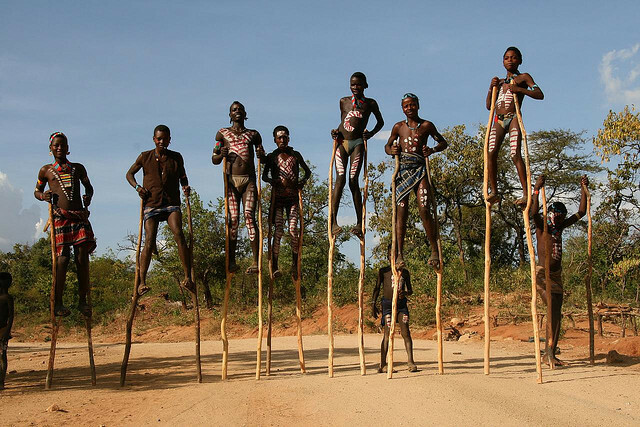 In this photo, some members of the Hamar tribe show off their skills. The Sof Omar Cave is the longest in Ethiopia and one of the longest in Africa as well. The cave features a zig-zag of passages including this river above. We definitely couldn’t leave you hanging without a picture of Lalibela. 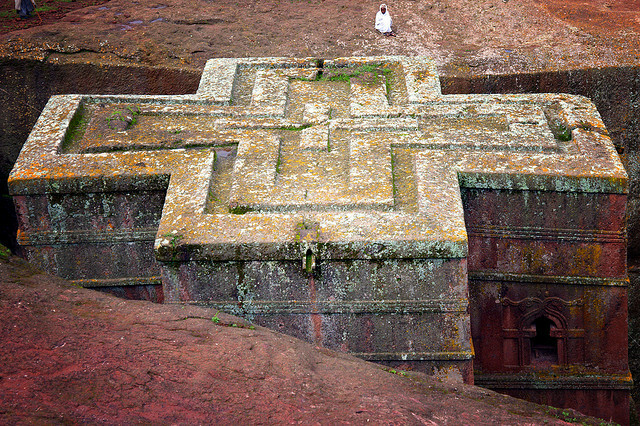 It’s one of the holiest cities in Ethiopia, and was designed by King Lalibela to be a new Jerusalem in the 12th century. Salt anyone? 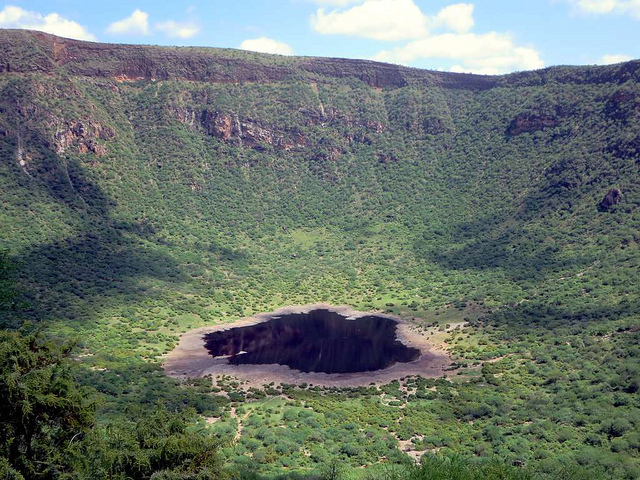 The crater lake of El Sod has served locals for hundreds of years as a source of salt to nourish their livestock. 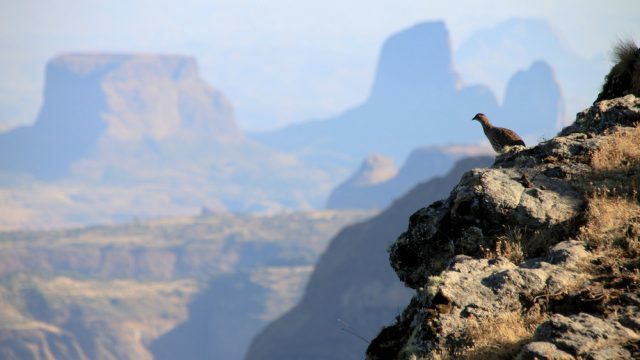 And last but certainly not least, the incredible Simien Mountains. Located in the north of Ethiopia, these natural wonders have some of the craziest topography on the planet. This article was originally published on February 5, 2015.